I've been working on a book lately - tentatively titled Diary of A Dog Walker. Taking a walk with a dog is a divine experience. 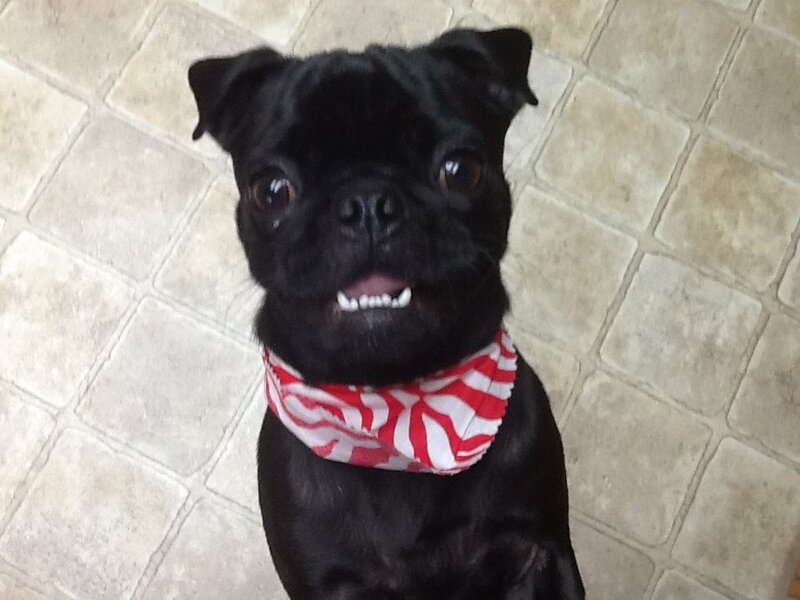 My pug, Molly (photo), is a happy walker! She loves going to the park near our house and walking the perimeter. "Today, I sparked up a strain of marijuana called Dawg Walker. Perfect! I really zoned in on the trees everywhere, and the great views of the mountains that surround us in Medford." At my age (65) walking is highly recommended (at least 20 minutes day). Walking with a dog takes the exercise out of walking, and transforms it into a peaceful experience where you can commune with nature. "Molly likes to chase birds. A flock suddenly took flight as we passed the children's playground and Molly lunged, only to be abruptly halted by the length of her leash. She barked at them in frustration, while I wondered what she'd really do if confronted with some birds up close and personal? Molly is not shy when it comes to meeting other dogs. The meetings go well 99% of the time. I'm always amazed at how size doesn't intimidate her (she weighs all of 16 pounds). I think it's true that little dogs don't know they're little."